Mail photocopies or digital versions of passport, birth certificates , frequent flyer cards or citizenship particulars. If/when those things go missing-if you’re able to get to an Embassy everything needed to travel can be replaced fast. Save foreign currencies in jars so you can see what you have-you may not be headed to the same country again but you might be passing through a country’s airport and can use whatever bills and coins you have-it comes in handy and you don’t need to exchange any currency for a short stopover! Find the coldest place in your house when you return-leave your luggage there-let critters and bed bugs die. If it’s Winter where you are (even better) the garage. It is said that bed bugs and critters live in hotels in big cities and you may bring them back with you…..
Get an effective mobile roaming package for your mobile-not all countries have the best wi-fi connections (if any). If your phone provider does not have a great one at least get one for free unlimited or broad text messaging. If that’s entirely not possible get an international SIM card with a local phone number i.e. Vodafone is an excellent company that operates in most cities worldwide. After I’ve used most of my travel sized products during my trip-I buy travel size products to re-fill my travel bag again from the country I’m in so it’s ready in my suitcase for the next trip. Don’t need to pack that again! If I plan on shopping and I’m staying in a country for a longer period of time and I know that I’ve used a small suitcase and I don’t want to carry anything around with me, I mail heavier items (via local post office) to my address. It usually arrives within days of arriving home and I’m still able to walk with a lighter load. Bonus: Not all airlines have the same (flight) track record. Ask your travel agent to look up and research airlines that might not be well-known but have a flexible schedule and affordable price! I’ve generally always used Air Canada but there are other air carriers going to the same countries and leave more frequently, fly to other metropolitan cities in your designated country of choice and a few hundred dollars cheaper! This album is perfect for lounging at the Martini bar with a cocktail. Can you see it? It’s got the perfect Downtempo sound with substance and perfectly sweet. A cool 10 tracks with a proper bonus remix. There’s something about ‘Futuristic Soul’ that sets a precedent for good quality music that will always be ahead of it’s time! Each song is strikingly hypnotic….almost meditative. Dawn, has nailed a distinct sound and evokes thought by song rather than the usual listening ‘journey’ through the whole album. Each track can make strong standalone singles. Listen to single Over It. I first heard and still have Blue Six’s Aquarian Angel (2007) on rotation and I believe Dezaray’s The Dawning is taking its place. The album is mellow with its intro title (The Dawning) and serves as an excellent entry into the world of Dezaray Dawn. This album challenges RnB artists to really push the envelope with sound rather than catchy, empty lyrics. The Dawning is a perfect mixture of Electronic and RnB music. Tracks to tantalize your ears: Da Day, Over It (2012), Chameleon (AppleJac’s Sound of Mecca Remix). My personal favourite is Brand New– it has an awesome chorus and sound. If you love ambient with soul, this album is yours! Did Your Client Even Try? As a freelancer embracing opportunities and leads like a private investigator-I’ve come across some very interesting circumstances. These situations have become synonymous with most clients and situations which led me to write this piece. When deciding to take on a project whether its paid or not I’ve understood in the last few years that if the client is looking for: a) money b)fame c)endorsement with any of the work you will be doing for them, you are most definitely headed for disaster! 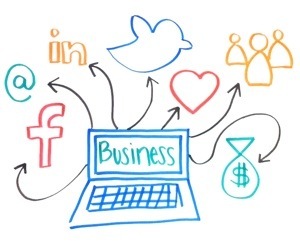 Rather than any one of those three driving forces, a client looking to understand what the social media machine means to their business and to themselves as owner/CEO of the business is a key component to my willingness to work with them. The progress the client/potential client has made since they’ve embraced any form of media-whether it’s a website, Facebook, Twitter, MySpace etc. will translate into how fruitful or complicated the undertaking of the assignment will be. I am not pointing this breakdown at anyone in particular but I’m sure anyone working in the event promotion, marketing, public relations or social media industries would understand the path I’m trying to follow with this article. If your client does not know how they can highlight their business, service, art, image, brand to the public-no amount of assistance from the best team will help. So far I’ve found that the clients I prefer to work with and the ones with the most successes or growth besides making money are the ones who’ve tried and (need an extra hand), or those who are starting social media or promotion from the ground up. On the other hand existing brands making transitions from the old style to the ‘new school’ are at a major advantage to grow their reach and influence by tweaking their message. Brands or entities with a huge fan base or stellar image or body of work can and do grow their businesses in areas they had never imagined possible. I promise you that anyone seeing your vision as an artist, musician, business, brand will want to do what’s best to see you succeed. Remember, your work is as good as your client’s efforts! Visit us over at @urbcomgrp_pr for tips and tricks!